We show you how to compare overseas property insurance quotes to find the best holiday home insurance at the lowest price. Insurance for overseas property is vital – particularly for holiday homes where you personally may not be able to visit regularly to keep on top of any problems. Most UK companies insuring properties abroad let you amend their policies to reflect your holiday home’s specific requirements, whether in Bulgaria, Italy, France, Spain, or anywhere around the world. So, you should compare overseas home insurance based on what cover is included/excluded, whether the maximum claim limits on that cover is sufficient for your holiday home, and on the policies’ terms and conditions. Your buildings cover will need to be able to pay repair work costs or for a complete rebuild if your holiday home’s damaged by any insured event. Consider your property’s risks and ensure storm, flood and earthquake cover are included (if relevant) alongside fire and accidental damage. Cover levels can reach into millions of pounds, to cover potential site clearance, labour and rebuild costs – so compare policies to find the best matches for the value of your second home. Contents cover should protect your possessions both while you’re staying at your holiday home and, depending on your circumstances, while it’s unoccupied. Contents are typically insured for fire, theft, accidental damage and loss. However, check what conditions are attached to the cover while you’re away from your holiday home; are you required to have someone visit the property once per month, or install security systems? Also check the requirement for chimney sweeping as some insurers include specific requirements. Compare policies’ conditions and maximum claim limits to find cover that’s sufficient to protect the total value of your contents, and filter out all policies that don’t offer the cover you need. Public liability insurance isn’t always included in overseas home insurance policies, so you’ll need to decide if it’s important to you. It protects you from third party injury and illness claims, and for loss or damage to their possessions. So, owner’s liability cover might be useful if you rent out your holiday home commercially (paying guests), or just lend it to family and friend for free in your absence. In both those cases, you’ll need to check that the building and contents are still covered. Most UK companies insuring properties abroad offer their cover throughout Europe at least. However, you should always check policies to make sure they cover the country your property is in. As well as earthquake cover, certain regions might warrant additional cover for snow damage, e.g. properties in Bulgaria or the Italian or French Alps. Some southern areas can also be prone to bush fires, so check you’d be covered by a policy if your holiday home is at risk. You should also take local planning and building regulations into account when you consider the level of rebuild cover you might need. For instance, French swimming pool regulations are strict, which could push up any rebuild costs your insurance would need to cover. Spanish holiday home insurance for example might not need to include earthquake cover on its policy, unlike some Bulgarian, Greek or northern Italian holiday properties; or at least, not the same level of cover. Once you know what protection you need, use a holiday home insurance comparison table to find policies that offer the right cover levels for your holiday property. 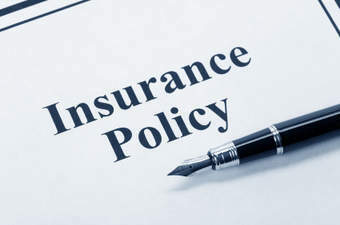 When you have a list of suitable policies get bespoke quotes for each and compare prices to find the cheapest cover. Thanks to http://www.money.co.uk/home-insurance/overseas-property-insurance.htm for the information provided.